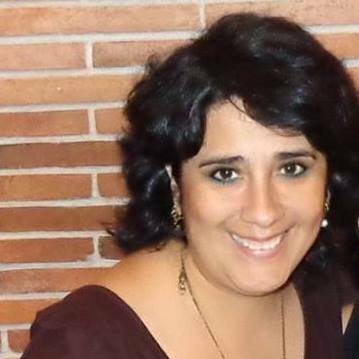 Today, I’d like to introduce you to Bertha Díaz and her language school “Viva Idiomas“. Bertha is one of our trusted local partners in Lima. Her school is conveniently located just 5 minutes walk from Parque Kennedy, the heart of Miraflores. They focus on teaching Spanish in a cultural context, so you will learn much more than just the language. 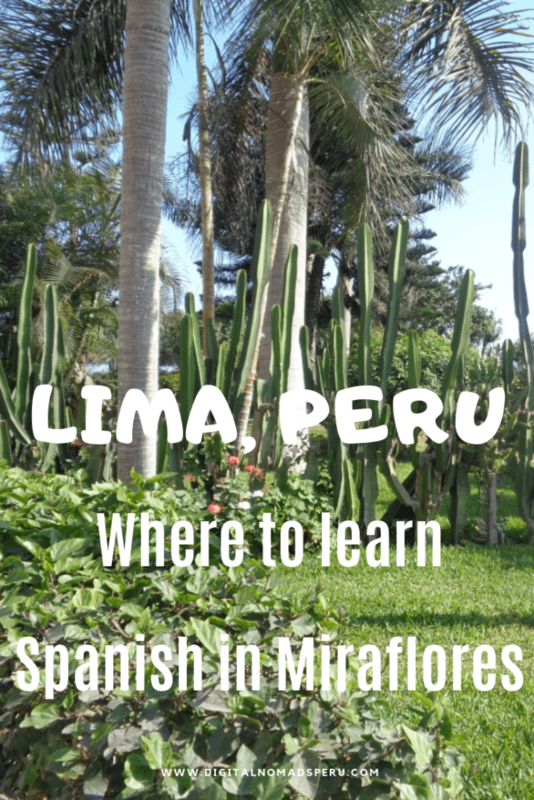 Contact “Viva Idiomas” now to start your Spanish lessons as soon as you arrive in Peru. And in case you wonder, Digital Nomads Peru neither receives a commission when you book lessons nor is this a sponsored post. We just sincerely believe that Bertha and her team do a great job and that you won’t regret choosing them as your language school in Miraflores. Bertha, how important is it in your opinion to speak Spanish when someone intends to spend a couple of months in Peru and other Latin American countries? Speaking Spanish while you are here in Peru or Latin America will permit you to enjoy our countries in a close and amazing way, enjoying our culture, customs, gastronomy and its wonderful and friendly people. 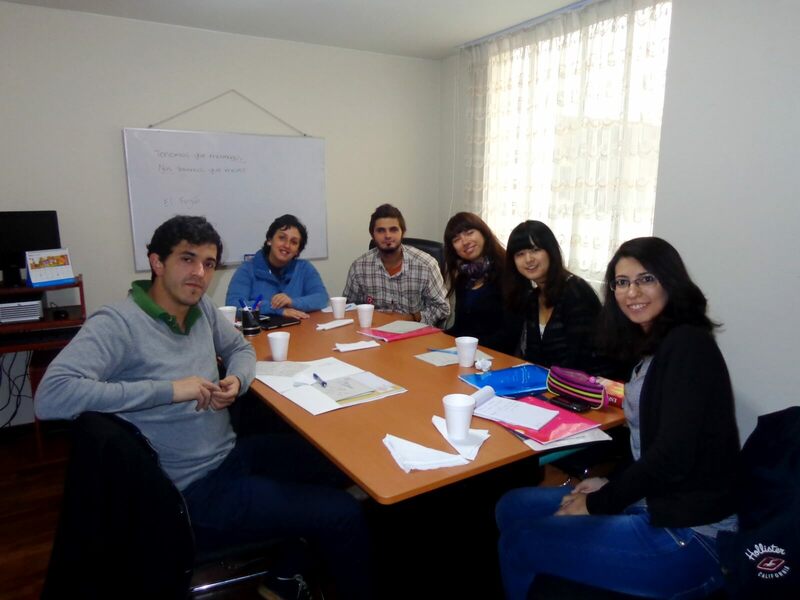 Will a person who learns Spanish in Peru be able to communicate well with people from other Latin American countries? Yes, absolutely. Spanish spoken in Peru is one of the clearest and neutral Spanish in Latinoamérica. 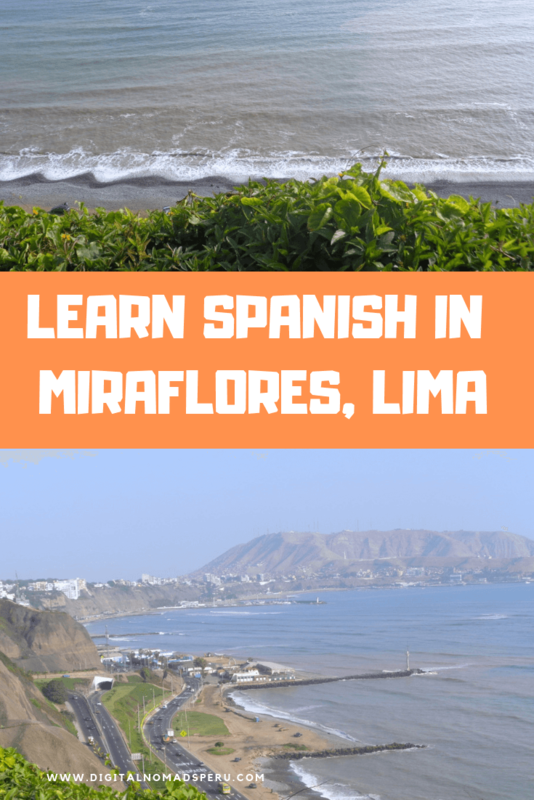 Let’s say someone starts learning Spanish in Miraflores and would like to continue once they’re back home or continue their travels. Is that possible? Yes! We have online lessons by Skype and wherever you are in the world you would be able to continue your Spanish acquisition with us. Classes online are very practical. Also, you can start with us before coming to Peru. Will the student always work with the same teacher or with different ones? It depends on the student. Sometimes some students prefer to change teachers to be exposed to different accents or knowledge, sometimes some students prefer to continue with the same teacher. We are very respectful of our students’ preferences. What kind of materials do you work with? 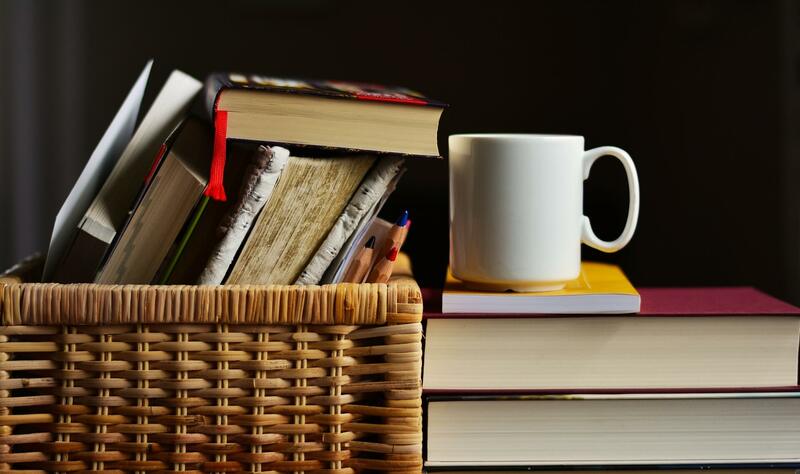 Is it necessary to buy a book? As digital nomads, we’re not so keen to carry books with us :-). For Basic and Intermediate levels, we have created our own books. At Viva Idiomas, you don’t only learn the Spanish language but its culture as well. We have also books in digital format. How many students does a group consist of? Are there groups for all levels? How long in advance do you have to book a group class? Let’s say two friends would like to learn Spanish together. Do you have a special offer for them? Yes, if somebody brings a friend I can offer him/her a 20% discount. Could you tell us about a special experience you had with a student? So many special experiences come to my mind. Students who started a business in Peru or Latin America when they got confident with their Spanish; students who came for a month and then they decided to spend 1 or 2 years in Peru doing volunteering; students who have told me how grateful they felt because their minds, points of views and paradigms about latin culture changed because our lessons; students who studied with us more than 10 years and they still in communication or when they come back they call us to catch up on. It’s really so rewarding being a language teacher. Is there anything you’d like to share about yourself? I have been teaching Spanish as a second language for more than 15 years. I love teaching. I love showing the best of our culture through my lessons. Also, I direct an NGO called Butterfly project that offers education to adult women who didn’t receive it when they were teenagers or children. It’s a wonderful project, I am a believer that education empowers people and changes lives. Do you have a secret tip for Lima? Anything that someone who visits the city for the first time shouldn’t miss? A special place to eat yummy Peruvian food? Lima is a very cultural city, we have more than 60 museums here. Peru is well known for the Inca culture but we also had different pre-Inca cultures that contributed to the development of human beings and their civilizations. In fact, in the Lima department, in the province of Supe, you can find Caral which is the most ancient civilization of the Americas. Caral is as ancient as Egypt or Mesopotamia. In Lima, we have an incredible gastronomy with world-famous restaurants and you have to try our delicious Pisco sour, of course. Thank you very much, Bertha. By the way, you can also book cooking classes or other cultural activities with “Viva Idiomas“. And feel free to like the Viva Idiomas Facebook Page. Did you like the post? Then why not share it on Pinterest using the picture below? Muchas gracias! Do you speak Spanish? How did you learn it? Or are you interested in learning the language? Please share in the comments, we’re looking forward to hearing from you!